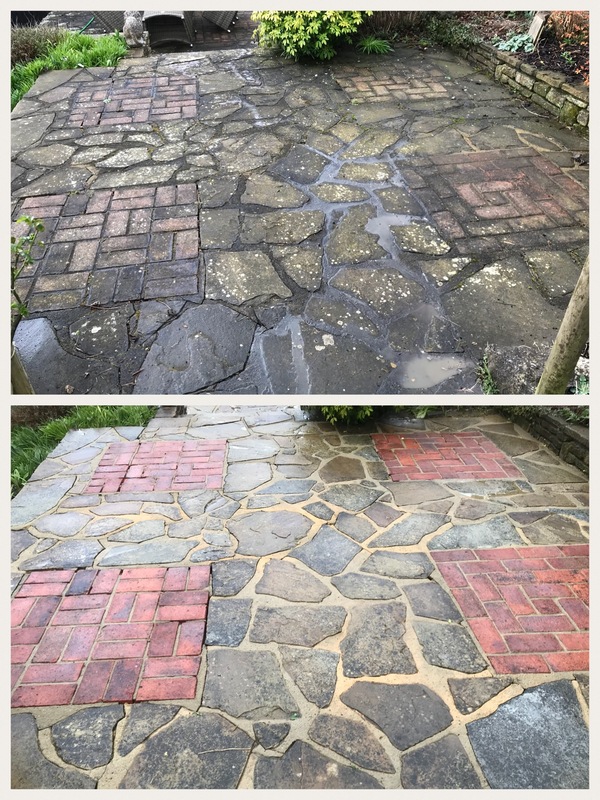 Is your patio, path, decking or drive looking grubby? With our Pressure Washing Service, we can remove 90% of all lichen, algae, mould and dirt using our high-pressure petrol jet washer. 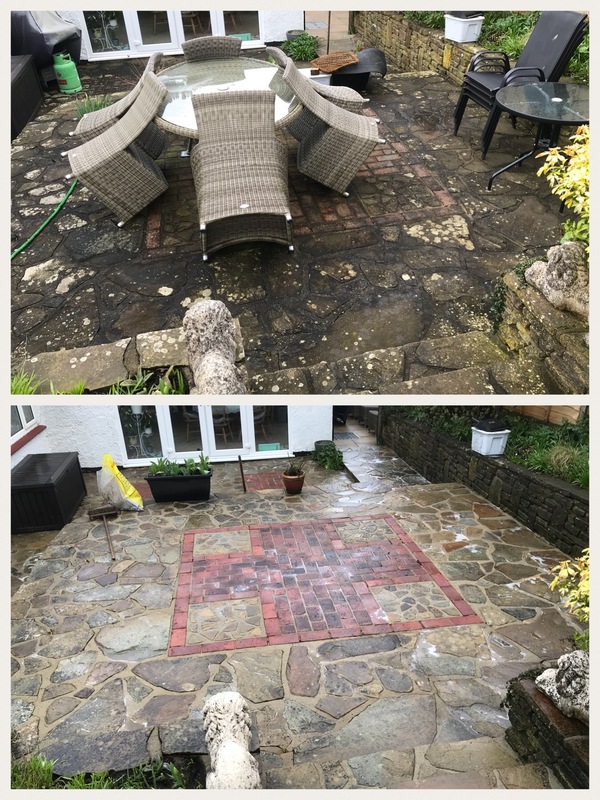 We can provide the ultimate patio cleaning service bringing back life to your old patio or drive. We can also pressure wash walls, cladding, stone and many other items just ask us first. If you have block paving we can also offer a re-sanding service if needed Free of Charge. Pressure washing alone will not remove many types of lichen and black spot as seen here below, this generally needs to be treated using various methods of soft washing, this is the application of chemicals to kill of the lichen and bring back the colour to the area sprayed. For more information please see our Soft Washing page.